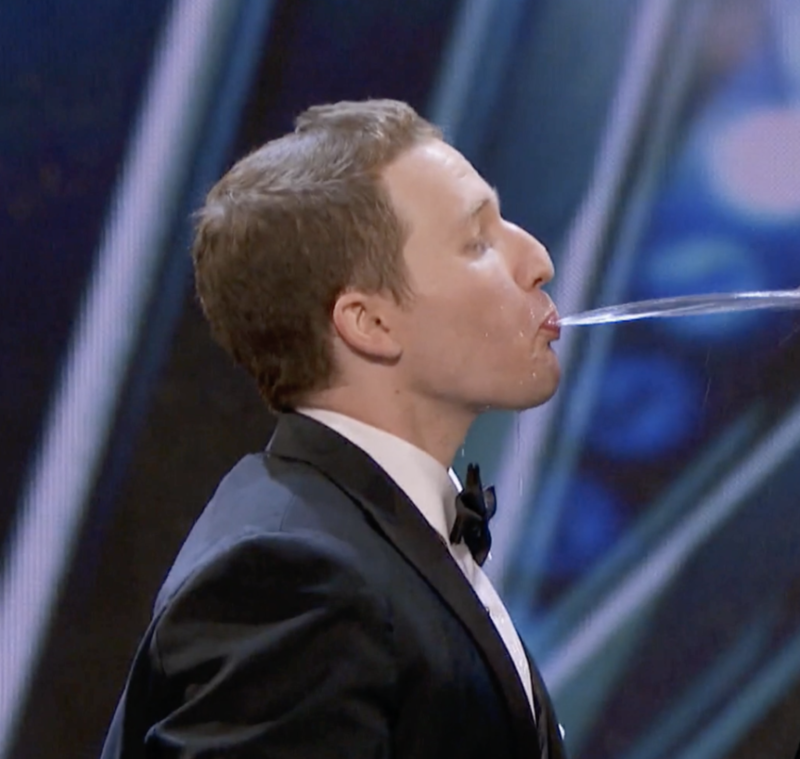 Spouting water, eggs, juice and other substances into his friends’ mouth in synchronization to music landed Sam Kaufman (14B) on America’s Got Talent (AGT). Since then, Kaufman and the rest of the Human Fountains are currently filming for a Romania-based comedy show based called iUmor. Kaufman graduated from the Goizueta Business School with marketing and film and media management concentrations. He was also a member of Zeta Beta Tau (ZBT) fraternity and Emory’s student radio WMRE. Although the Human Fountains was inactive while Kaufman attended Emory, the acting techniques he learned in undergraduate acting classes have applied to his performances with the Human Fountains. Kaufman discovered his talent for water spouting in high school. Fountain shows were popular at the time, he said, but there were no human fountain shows. Thinking it would be amusing to form a group based on fountain shows, Kaufman shared the idea to his childhood best friends, Ben Tillis, Joel Lowinger, Elan Lefton and Cameron Poter. After getting over the act’s initial disgust factor, the group did not hold back, as they got numb to firing water into each other’s mouths the more they practiced. The members are all close friends, having attended high school together in Denver. Although Kaufman’s friends needed some convincing to take up the talent, they were more than ready to perform at their senior talent show in 2010, which they won. “We wanted to leave [high school] with a splash,” said Kaufman. Their AGT performance in 2018 was based off of their high school talent show. “People loved it, so we taped a nicer version of it … and put it online,” Kaufman said. That video earned them some publicity within the Reddit community, but it was not until eight years later when they personally posted a video on Reddit that the group went viral. From the video on Reddit, the group was asked to audition for the 13th season of AGT. Their endeavor has allowed Kaufman to share his unconventional creativity. Their social media platform has grown immensely since their season of AGT aired, with about 10,000 followers on Instagram. This has not only allowed them to reach a variety of people of different backgrounds and ages, but they have received a lot of positive feedback from the public expressing how much their videos have impacted their lives. Their popularity on AGT has allowed to travel to places like Germany, Japan and Italy to both perform and appear on television shows. Before Kaufman began this journey, he did not expect to receive so much publicity. Tillis notes that although this experience has created an incredible platform for all of the members, it has also helped Kaufman grow throughout the years. Kaufman is the chief creative officer and founder of the advertising agency DigiHear, where he works with a variety of clients in increasing their online presence. In the future, he hopes to continue with the Human Fountains and potentially create a television show to showcase their unorthodox talent. He mentioned potential for a show coming together later this year that features several synchronized spouting performances that tell a narrative.